I can't say I agree with everything that Mizuno has to say about weight in this Top Gear interview. I think that there are compromises when you build a car, and in this case to build a car as technically advanced as the Nissan GT-R, it ended up being heavy. Adding all the safety and convenience items added up to a 3800+ lb curb weight. "Thinking that my car is too heavy is a mistake!" he says, clapping his hands together for emphasis. 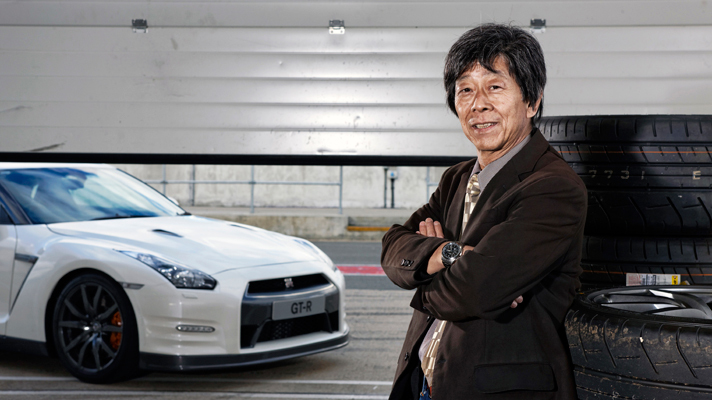 "All journalists say [affects a funny voice]: ‘GT-R is heavy, heavy, heavy - it should be lighter, lighter, lighter!' I say, journalists need to develop a more professional level of thinking! More study! More thought! The GT-R needs to be this weight. A car with less weight does not handle. Lighter weight can be dangerous. And it will not be drivable by all customers. You have a responsibility for the customer. I have a big responsibility for the customer!" Anyone that has ever been involved with a race car might not agree with that. We do everything we can to get our race cars down to a minimum weight. The car accelerates faster, corners better, stops better, uses less gas, uses less brake pad, and uses less tire the lighter it is. However, some people don't agree, and we are having a healthy discussion over at the NAGTROC Forum. The mighty 3.8-litre, twin-turbo V6 gets revised heads, sodium-filled valves, and a new intake system, to improve drivability, throttle response and reduce emissions and consumption. Power is up to 542bhp (at 6,400rpm, a 12bhp boost on the 2011 model), and torque increased to 466lb ft. The dual-clutch transmission is smoother-shifting, and overall body stiffness has been beefed up. The European 2012 GT-R is our US market 2013 GT-R. They call it 542bhp, we call it 545hp. So whats next for the GT-R in 2014? More of the same, or changes? Are we going to see a 7 speed transmission, or direct injection any time soon?